Okay ladies, today you have jumped to probably the best tutorial you will find on the internet to remove acrylic nails safely with acetone. Before we move ahead, let me clarify one common myth that acetone is not safe. Yes its only a myth! Actually using acetone to remove the fake nails is the best technique which won’t hurt you at all and takes off your acrylic nails precisely without hurting you. Through out the tutorial, you will be guided each and every step clearly to avoid any accident. Following are the supplies you are going to need for the procedure. Its highly recommended that you use the best supplies to avoid any possible damage. 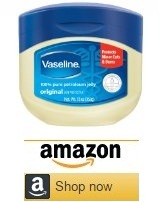 After thorough research, I have managed to collect the following best supplies you can buy to get true value for your money. These supplies have been tested to work 100% correctly for taking off your artificial nails on basis of ample positive customer reviews. Advice: Buy 32 oz & get good discounts. Advice: Yes don’t go for poor quality, you need the finest buffer. Advice: The best among the best nail file. First of all, cut down your nails using a nail clipper or nail trimmer as much as you can to the lowest possible extent. This will help to save much of time later. Take Care : Do not put excessive force to cut the nails if they are too hard. Instead use a good nail filer to reduce the thickness so you can cut them easily. Warning : When you cut, make sure you only cut the fake nail and not your natural nail bed or else get ready to see blood oozing out. Now you need to remove the top coat i.e. your nail polish or paint or color. 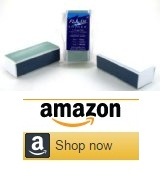 For this, you want to use a high quality nail buffer to remove the acrylic off your nails to the best possible amount. After filing down the hard acrylic, you can also use a nail polish remover to remove the remaining nail polish from your nail. This step can also be performed by soaking a cotton ball in pure acetone and rubbing it on your nails to take the paint off. But nail polish will do just fine. This step is essential as removing the paint will ensure it doesn’t reach your fingers later which will then stick to your skin. So removing it before soaking the nails is the best option to avoid more effort later on. Take Care: Do not file too hard if the acrylic is not coming off. You may end up damaging or breaking the natural nail. Place a medium sized bowl on a table. Take some warm water in the bowl (just few table spoons not a whole glass!!) and then add pure high quality acetone to the warm water. Quantity should be sufficient enough for you to dip your nails in the liquid. Warning: Do place the bowl on a flat surface and not in your lap as if it gets unbalanced you may burn your legs or furniture. Very Careful: Do not heat the acetone or place it in oven to heat it. Its highly flammable. Always add hot water instead to it to make it warmer. Take Care: Make sure you have good air coming in the room as acetone has strong fumes (not very good) . Cigarettes: Are you kidding me? Throw them away now. 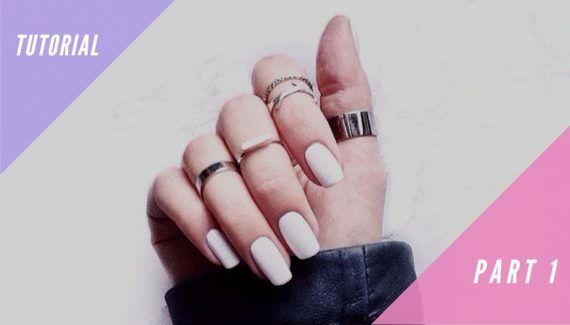 Before we soak the nails, its always better to apply some petroleum jelly on your nails and fingers. Reason: It will help your skin not get dry when you dip it in acetone. Yes acetone can dry your skin a lot so using jelly becomes almost necessary. 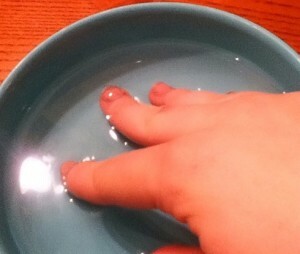 Soak your nails by dipping them in the bowl for about 15 – 20 minutes. If the nails are still not coming off and stuck, then you need to repeat the process for another 15 – 20 minutes. Now they must definitely come out after the second round. Take Care: If the nails are not coming off easily, then please don’t force them and instead spend another 15 minutes to make them softer. Warning: Do not soak for more than 20 minutes at a time. If you feel irritation, apply some more jelly before going for second round as acetone dissolves the jelly faster. Quickly take the nail buffer and remove the leftover acrylic. You should do it faster as nails will still be softer to take off the remaining acrylic easily. But if it is not coming off or has become harder then just take a cotton ball soaked in acetone and rub on your nail and it will come off easily. Use your favorite nail clipper and filer to file the nails and bring them to their natural shape. You may want to buffer them a bit if necessary. Take Care: Do not file them a lot as the nail is soft due to acetone and a few top layers might have been removed along with acrylic. In short, your nail is weak right now, don’t put too much pressure on it. 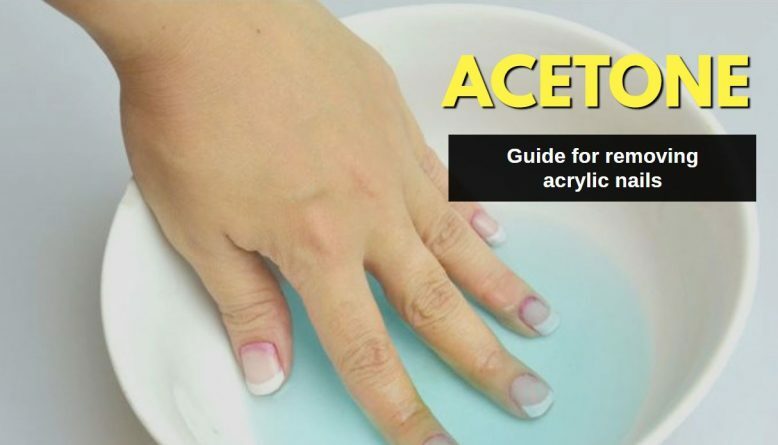 Acetone is very reactive chemical and it makes your nails and skin quite dry. Wash your hands with soap first. You want to use some oil like cuticle oil or olive oil on your nails. Apply some good moisturizer on your hands and fingers. Alternative: Instead of dipping the nails in acetone, there is an alternative technique as well. 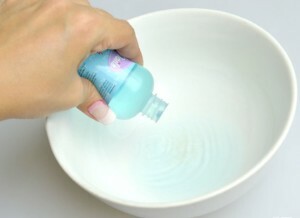 It involves using cotton balls instead of dipping your acrylic nails in the bowl. Many prefer above method as it will involve even more safer but slower approach to remove acrylic nails. The following video has exactly the same procedure but performed by a professional at nails salon. Get an idea if something is not clear. The technique is basically the same but they just use professional tools and our guide is focused towards “Do it yourself at home” approach. thanks a lot. just absolutely brilliant article. I never read so informative article ever. keep writing plz. i am now following your blog daily.